A former Irish bar on Blake Street is trading in its shamrock for a more vibrant flower. 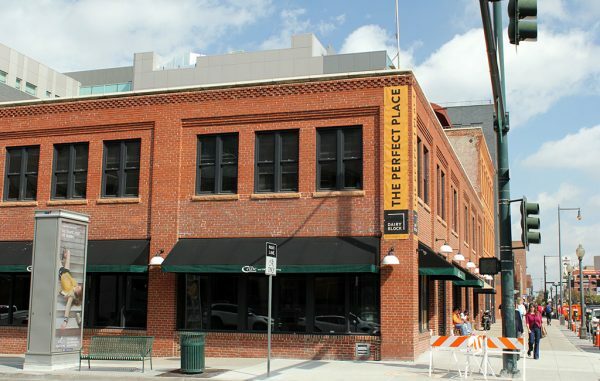 Steven Waters, a restaurateur and industry consultant, set his eyes on the Blake Street building after the Celtic Tavern and Delaney’s Bar moved out last year. He said he liked the location because of new development on the Dairy Block – a new hotel and plans for retail space. On Wednesday, Waters finalized a lease in the basement of the building for his new bar concept, Run for the Roses. The bar will be Kentucky Derby themed. Historically, the area was home to Windsor Dairy, which also had horse stables. The Celtic Tavern also held bets on horse races in the location during the 16 years it was on Blake. “The whole idea is to pay homage to that neighborhood,” he said. Waters said the space will be 1,700 square feet, with 50-60 seats and a private room for groups. He added that he would be keeping some of the historic features in the space, like large wooden beams. He plans on adding in a 43-foot bar. Gensler is the architect for the bar, and Waters said he will bring in a general contractor to help with the build out. He’s hoping to open Run for the Roses in the first quarter of next year. He said the opening will be time with a retail market that is going upstairs, taking 10,000 square feet. Waters, a Durango native, started in the restaurant industry as a busser. He spent his time between restaurant work in New York and starting Black Eye/White Lies in Capitol Hill as a partner and part owner. He sold his partnership to Black Eye in December, starting his consultant business Soigne Holdings. Waters said he will continue working at Soigne during the day, and will help at Run for the Roses at night. This will be Water’s first solo bar project, but he is bringing in an investor as a partner. Waters said the bar will be open until 2 a.m. Thursday through Sunday. He’s hoping to pull in restaurant and bar industry workers in as customers on Sundays. It will serve classics like old fashioned, vespers and manhattans in a more laid back cocktail bar.